Long years ago, we've talked about a Skype alternative called Tox which was still in its early developmental stages. Tox was supposed to become the anti-thesis of Skype by being a fully open-source video and voice chat client that placed user privacy and security at its center. Well, guess what, there are now fully active and well-maintained chat clients that are built on top of Tox protocol. qTox is one of them. Tox is a peer-to-peer instant-messaging and video-calling protocol that offers end-to-end encryption. There are two popular clients built on top of Tox, namely uTox and qTox. Here we will discuss about qTox, the more feature-rich and configurable of the two. 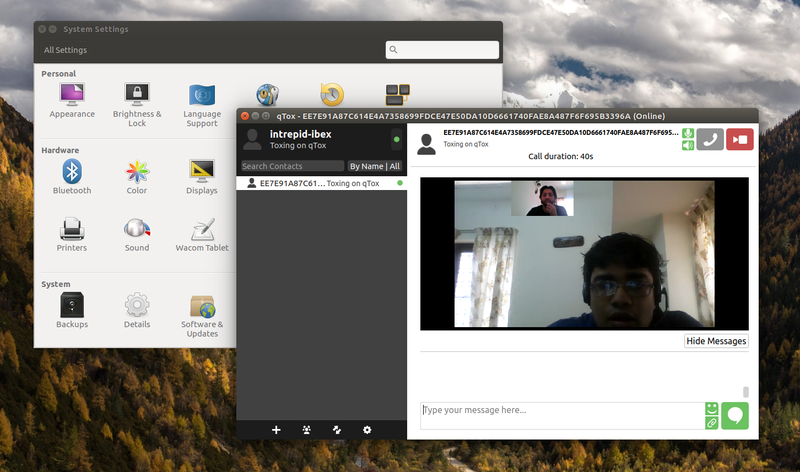 The work flow of qTox video chat client is pretty straight forward. You just need to share you unique Tox ID (the one you get after you sign up) with the person you want to chat. Friend requests pop-up in your screen once it is sent and you can either accept or reject it. qTox is fully featured with support for video/voice chat (picture-in-picture mode for video calls), sending/receiving files, screen-sharing etc. By default, video chat is disabled for security reasons and you need to enable it first in qTox-Settings when you want to video chat. Just copy-paste the following commands into Terminal one by one (keyboard shortcut: CTRL+ALT+T). sudo sh -c "echo 'deb http://download.opensuse.org/repositories/home:/antonbatenev:/tox/xUbuntu_16.10/ /' > /etc/apt/sources.list.d/qtox.list"
The first line adds the repository while the second and third line download the key for authentication. Then you update the repositories and install the app, which is 'qtox' here. Installing qTox in Ubuntu 16.04.2 "Xenial Xerus", being the latest LTS release. Same as before, copy-paste the following lines to your Terminal. sudo sh -c "echo 'deb http://download.opensuse.org/repositories/home:/antonbatenev:/tox/xUbuntu_16.04/ /' > /etc/apt/sources.list.d/qtox.list"
Done! 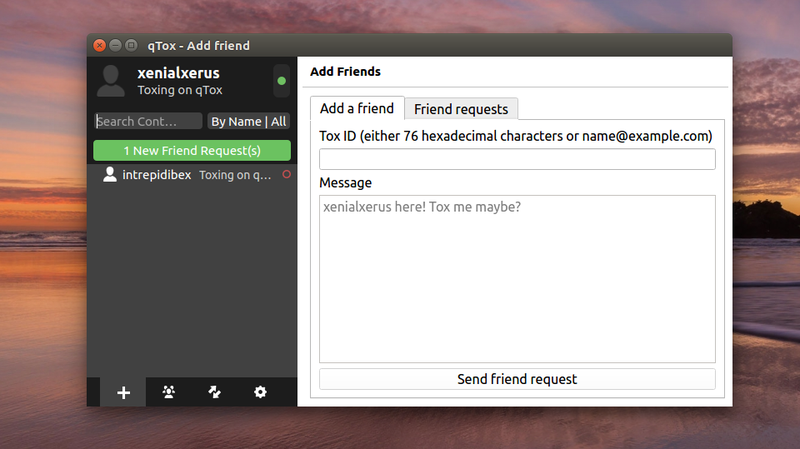 After installing you can quick-launch the app from Ubuntu launcher, just search for 'qTox'. I have installed the app in Ubuntu 16.04, Ubuntu 16.10 and Windows 10. The video and voice chat worked across platforms. Tried screen-sharing too with Windows 10, but the experience could have been a lot smoother. But as I understand, qTox is still in active development. So you can expect improvements to happen over time. qTox is cross-platform and is available on a wide range of OSes. For downloading qTox for your favourite Linux OS (Arch, CentOS, Fedora, openSUSE supported), follow this link. For Windows and OSX installers, see here. qTox is still very much on the bleeding-edge side of things and we strongly recommend adequate testing before using it on production machines. Thank you for reading. 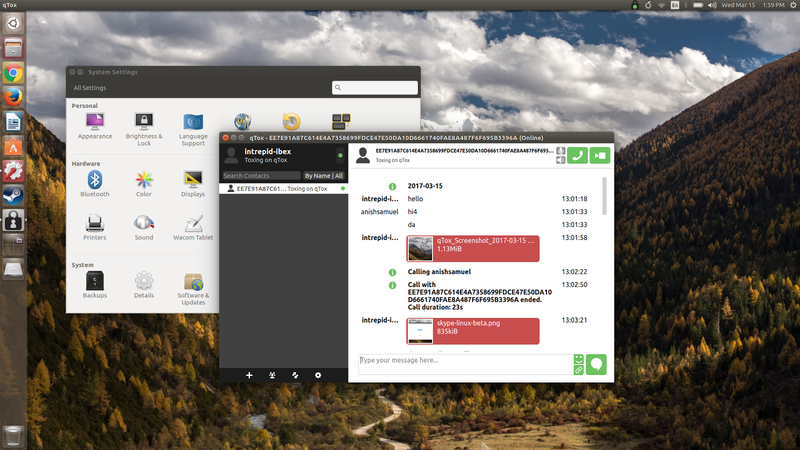 Related: Meet the new Skype for Linux Beta.